OxyContin is the brand name for oxycodone, a powerful synthetic opiate painkiller that doctors prescribe for the treatment of moderate-to-severe pain. Unfortunately, the prescribing for this powerful opioid painkiller has increased in dramatic fashion over the course of the last decade, which means that more and more people throughout the country need treatment for oxycodone addiction. If you believe that you or someone close to you struggles with dependence, make sure to read on. Over the last decade, pain management has become increasingly important in the medical profession. People who are struggling with chronic pain, often associated with severe burns, heart attacks, bone pain or different types of cancer will receive the time-release formulation drug. The only issue is that the original drugs had a time-release formula that was easy to circumvent. Despite the fact that this was only available as a prescription from a physician for pain management (because it is a Schedule II narcotic), a significant amount of the drug was diverted and sold on the street. By circumventing the time-release mechanism in the earlier variations of the drug, recreational users did not just receive the pain-relieving effects. Instead, they were exposed to a euphoric high that was not unlike the use of heroin. Because of the perceived safety aspect of using a pharmaceutical product that was manufactured in a lab, many people would experiment with the use of opioid painkillers, despite the fact that they might never otherwise have tried heroin. There are a number of different effects if someone abuses this narcotic. A few effects might include dry mouth, a loss of appetite, dizziness and nausea. People who take the drug may suffer from headaches, have a hard time breathing or experience mood swings. When taken for long-term relief, these symptoms can become progressively worse. If a user ingests enough of the substance, he or she is going to build up a tolerance. This tolerance is not going to become lessened unless someone enrolls into treatment for oxycodone addiction, or ceases use altogether. 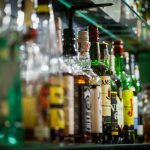 Developing a tolerance means that the body needs more and more of the same substance before having the desired effects. 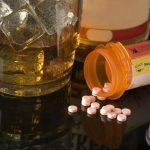 This increased tolerance can easily lead to dependence, which may lead to full-blown addiction, leading to needing OxyContin addiction treatment. Because there is acetaminophen in the oxycodone formula, long-term abuse could lead to permanent liver damage. Most people who struggle with long-term drug addiction are not going to enroll into oxycodone addiction treatment overnight. Oftentimes the push may need to come from a third party, or they have to realize that their compulsive behavior leads to insurmountable problems. The user hides the drug around the house. This is done to ensure that he or she has easy access, and does not have to worry about running out unexpectedly. Secretly using the drug. Most users know that people around them would prefer them not to use. In order to continue using unchecked, many abusers will try to hide their problem. Feeling phantom pains when the drug is not available. Studies have shown that most people who abuse opioid painkillers will become far more sensitive to pain. The user has multiple prescriptions for oxycodone. Oftentimes users find that because of the increased tolerance, their prescribed amount is not enough. As a result, they will try to get their own doctor to increase the prescription, have another doctor prescribe more, or buy the drug on the street. The user has restless thoughts and/or behaviors and constantly thinks about the drug. One of the problems with compulsive, addictive behavior without oxycodone treatment is that the user will continue to use, despite knowing the negative consequences that can and will result. Why is Oxycodone So Addictive? You now know that OxyContin addiction recovery is vital if someone wants to recover from abusing these medications. The reason that these medications are as addictive as they are is because they create artificial endorphins in the brain. The user experiences a flush of warm and comforting sensations. After prolonged use, the brain is no longer going to produce the endorphins that once led to pleasurable feelings. This means that people are depressed and sickly when they are not actively ingesting the narcotic. Keep in mind that people struggling with dependence need to find quality oxycodone rehab. This is not just because of the dangers of an overdose or because of the long-term health effects, but because many people who struggle with prescription painkiller abuse eventually switch to heroin or other dangerous alternatives that happen to be more affordable and readily available. Remember that the risk of a fatal overdose or an infection are simply too great to allow someone to continue without helping them find OxyContin treatment. If you have any questions about oxycodone addiction help, remember that these facilities are available for questions. Make sure that you look at the different oxycodone addiction treatment options before you ever make a decision. Just because it is called a rehabilitation center, it does not necessarily mean that two facilities offer the same treatment for OxyContin addiction. It is important to note that quality oxycodone rehab centers start by having addicts undergo detoxification. This means that the toxins left by the continued use of the drug slowly begin to leave the body. Detoxifying the body is just one very important component of OxyContin rehab though. It is also important that the user understands why he or she began to abuse this medication. Why were they triggered to use? If there were relapses, what were the reasons behind these? The truth is that many long-time users are not going to be able to quit cold turkey. If they were capable of doing so, or wanted to do so, they would have done so already. If you want to enact lasting change, help people find professional treatment for oxycodone addiction.